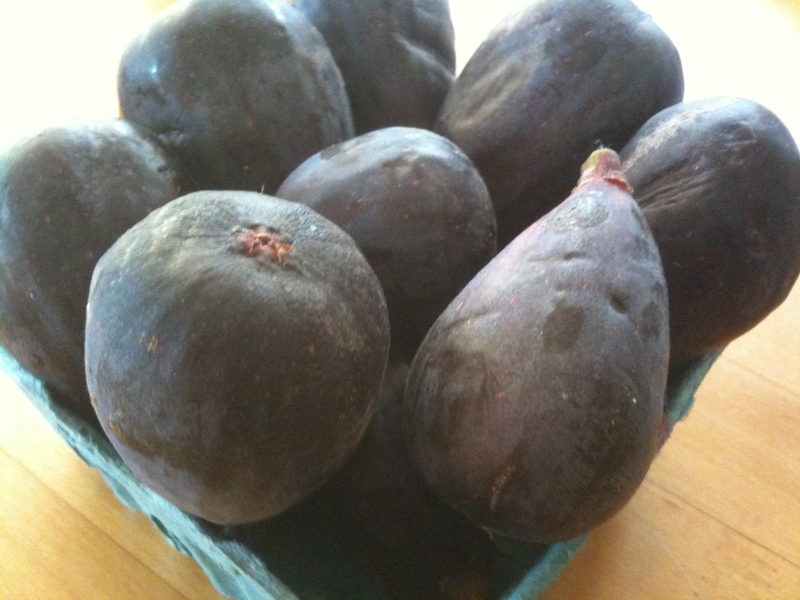 Figs – my favorite food is in season! Of all the foods in the world fresh Figs are my favorite! For the past month, I have been in Fig heaven because they are so abundant, available and reasonably priced. I want you to know that they’re in season. Trader Joe’s and Whole Foods are both carrying them (the Trader Joe’s container is a better value). Below I have a lovely dressed up Fresh Fig dish that I think you’ll like. Figs come in different colors and sizes. They are all good! Figs are ripe when they are soft. 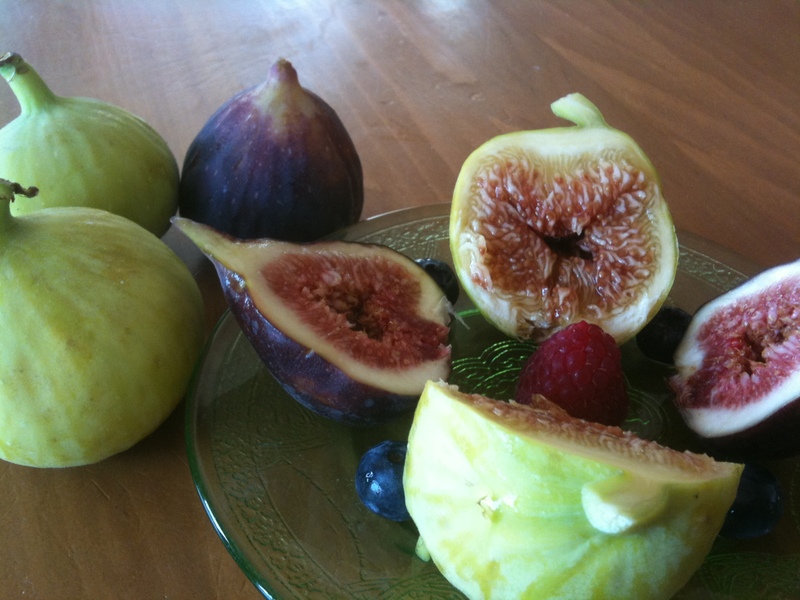 An unripe, hard fig will not be sweet, and you won’t understand why I gush about figs if you choose one of those. You don’t want bruised or mushy figs. Before you buy them or eat them, check for mold, especially check the bottom. If they have mold, they are not edible. Chuck them in the compost. Pinch the stem off at the top, and eat the whole fig. You can peel it, but you don’t have to. Once you have a ripe fig, eat it or put it in the fridge. They spoil easily. They are a great source of soluble and insoluble fiber, which means they will help lower cholesterol and aid in digestion. They are packed with anti-oxidants. They are a good source of potassium. 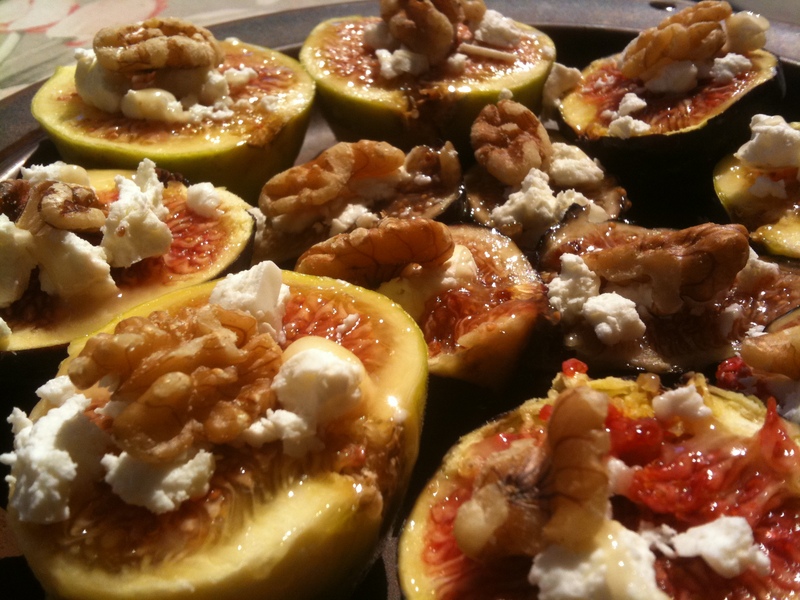 Figs with Goat cheese, Walnuts and a drizzle of Raw Honey ! Place 1/2 Walnut on top. But I must say, my favorite is just plain figs. Want to get in the kitchen with me and learn how to whip up easy raw food! Sept. 18th 2011 at 3:30 in the Boston Area.